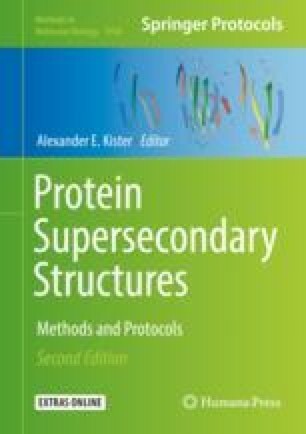 The traditional classification of protein structures (with regard to their supersecondary and tertiary conformation) is based on an assessment of conformational similarities between various polypeptide chains and particularly on the presence of specific secondary structural motifs. Mutual relations between secondary folds determine the overall shape of the protein and may be used to assign proteins to specific families (such as the immunoglobulin-like family). An alternative means of conducting structural assessment focuses on the structure of the protein’s hydrophobic core. In this case, the protein is treated as a quasi-micelle, which exposes hydrophilic residues on its surface while internalizing hydrophobic residues. The accordance between the actual distribution of hydrophobicity in a protein and its corresponding theoretical (“idealized”) distribution can be determined quantitatively, which, in turn, enables comparative analysis of structures regarded as geometrically similar (as well as geometrically divergent structures which are nevertheless regarded as similar in the sense of the fuzzy oil drop model). In this scope, the protein may be compared to an “intelligent micelle,” where local disorder is often intentional and related to biological function—unlike traditional surfactant micelles which remain highly symmetrical throughout and do not carry any encoded information. The authors are indebted to Piotr Nowakowski and Anna Śmietańska for their editorial and technical help. This research was supported by Jagiellonian University Medical College grant no. K/ZDS/006363.